Shoal draft version: Draft- 4.83'/1.47m. 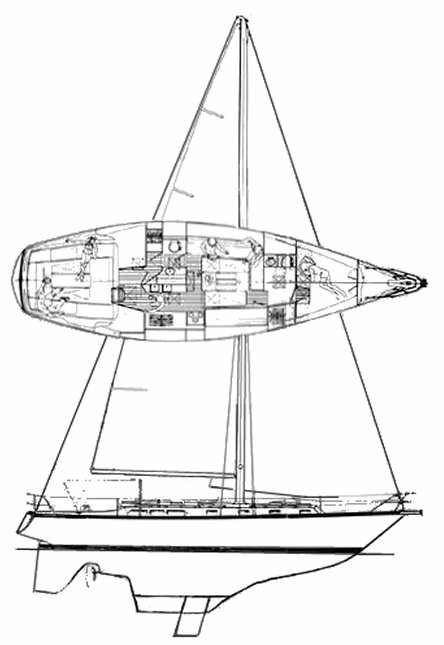 Keel/Centerboard version: BU 4.83/1.47m', BD 9.42'/2.87m. It is believed that this yacht was first built as the STILLSON 44 by Harstil Industries (Fraser, Michigan,USA). And that the hull design was developed first as 'Spirit of Michigan', a competitor in the Canada's Cup match race series of 1972.